“It would fill a large book if I attempted to describe all I saw during my stay in Japan,” Nellie wrote. I wish she had described more, but at least I was able to track what she did recount in Tokyo. Nellie went to see the Mikado’s Japanese and European castles. 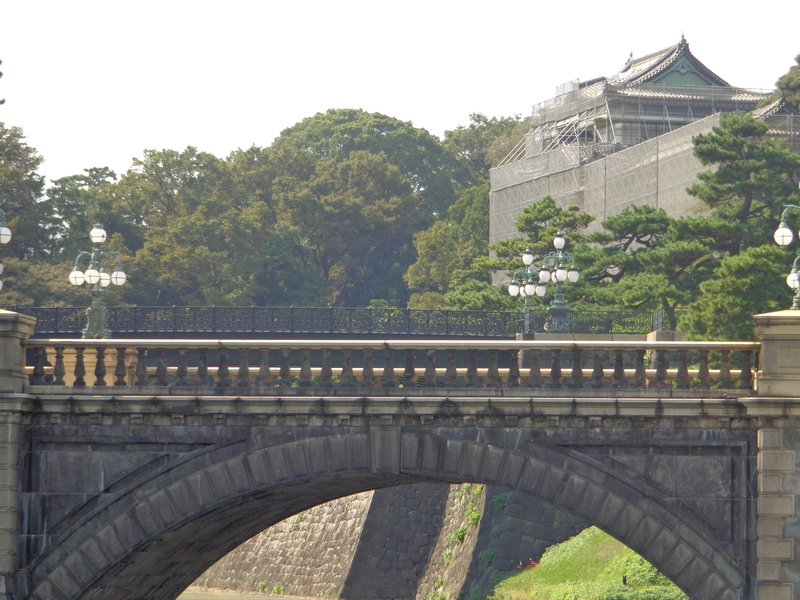 Today the Emperor’s Palace can be viewed from the outer garden. To get inside, as Nellie did, advance reservations must be made. The Sangedatsumon Gate is said to deliver us from greed, anger and stupidity. 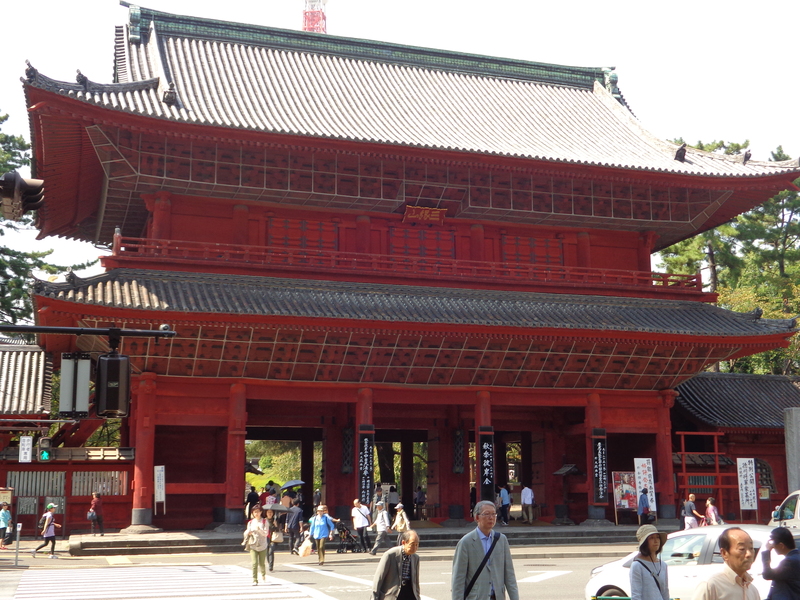 All that remains of the great Shiba Temple – today’s Zojoji Temple – that Nellie saw is the majestic vermillion-lacquered main gate built in 1622 and the enormous Diabonsho Bell dating to 1673 weighing 15 tons. The gate, soaring 21 metres high, is called Sangedatsumon—meaning a gate of deliverance from three earthly states of mind – greed, anger and stupidity. The gate itself was ‘delivered’ from World War II air raids that obliterated the rest of the site. A memorial service packed the main hall at Zojoji Temple, overlooked by Tokyo Tower, when I went. Many hundreds of people were lined up for their turn to pray and bow before the Buddha. 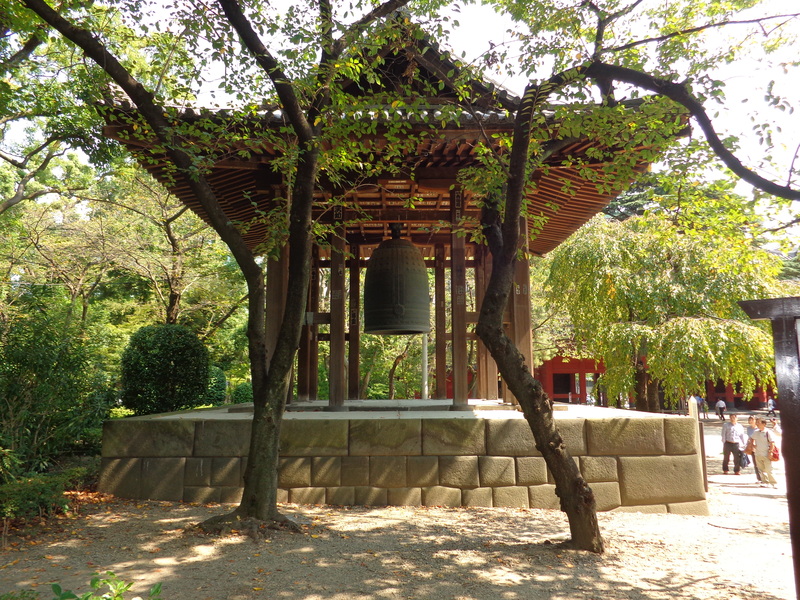 Zojoji is now one of Japan’s principal Buddhist temples. With row upon row of small statues shaped like little children, a garden in the temple grounds is devoted to unborn babies. Keeping in mind Nellie Bly’s crusading journalism on behalf of mothers and children, I’m sure she would’ve been drawn here. 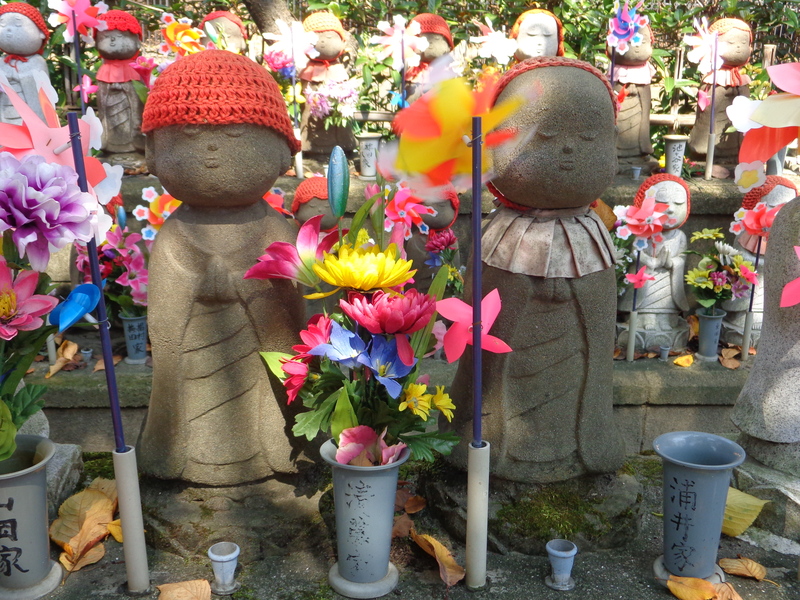 With uplifted faces and hands folded in prayer, the statues wear crocheted hats and scarves. Alongside them are vibrant flowers and whirring pinwheels that gently lighten the solemnity. Tokyo’s Ueno Park, like London’s South Kensington and Berlin’s Museum Island, is home to first-rate state museums; but also temples, pagodas, gardens and amusements. Nellie described only a memorial tree and a very clever monkey. I found the tree, but not the monkeys. In fact there were two trees, planted by General Ulysses S Grant and his wife Julia during a world tour they undertook following his US presidency (1869-1877). The cypress planted by the General and magnolia planted by his wife on 25 August 1879 still stand. 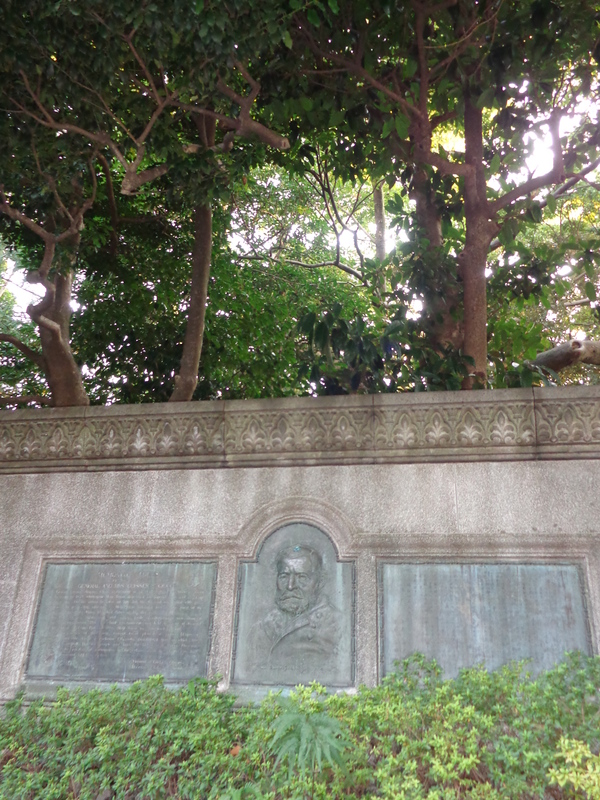 Fearing ‘that few people knew about the history of the trees’, a monument was erected 50 years after their planting by ‘those who had the privilege of participating in the welcome event.’ You can find it between the ice cream stand and bumper cars at Ueno Park, adjacent to the area set aside for smokers.